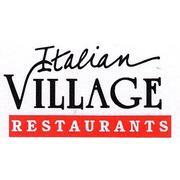 The Italian Village Restaurants,a Chicago Tradition since 1927 is seeking experienced servers. We are a high volume restaurant located in the downtown loop/theatre district.Knowledge of Italian food and Wine a plus but not required.We are looking for friendly out going individuals to be a part of our team. Flexible schedules available.